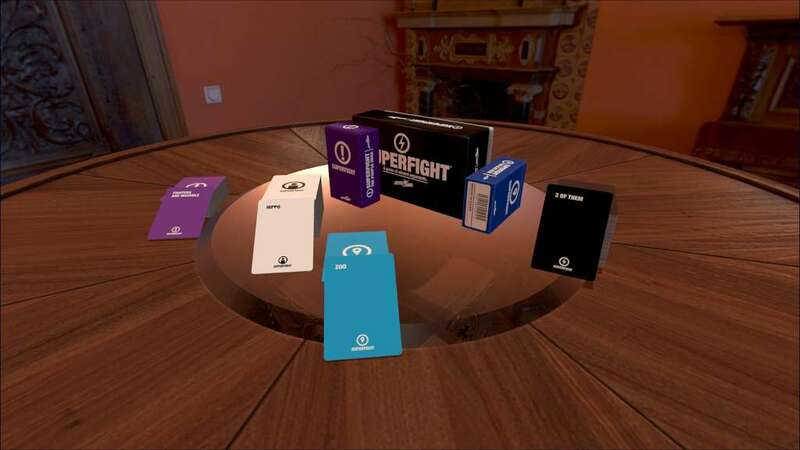 Requires Tabletop Simulator on Steam in order to use. 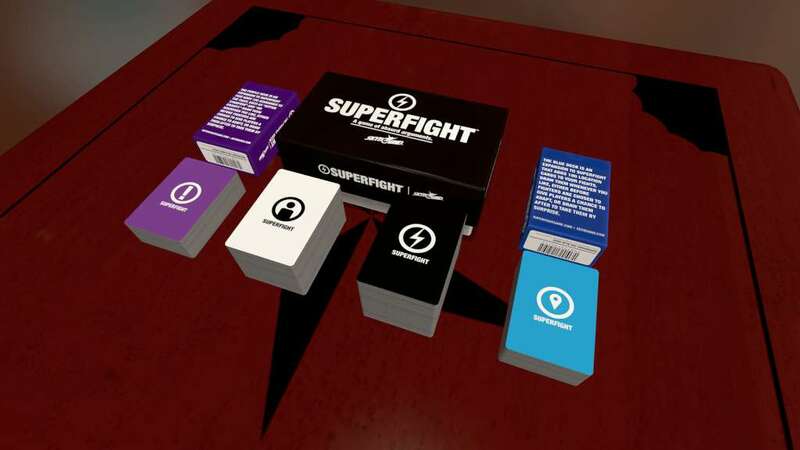 The Superfight DLC for Tabletop Simulator comes with the 500 card core deck, the blue deck, and the purple deck. 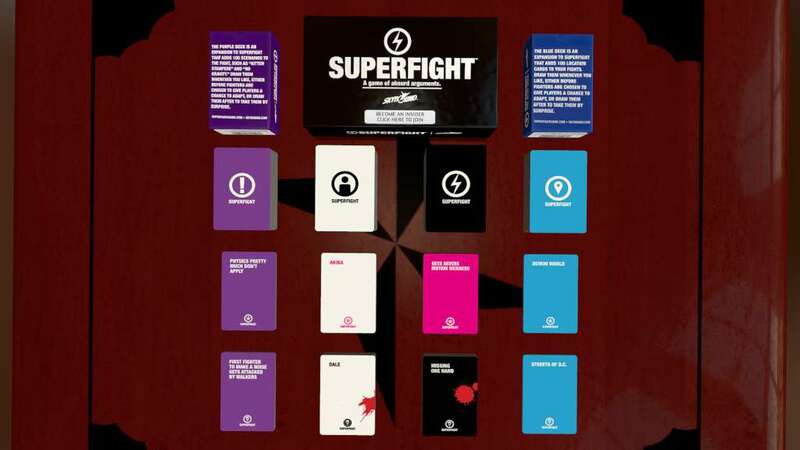 Two new decks have just been added: The Walking Dead and Anime. 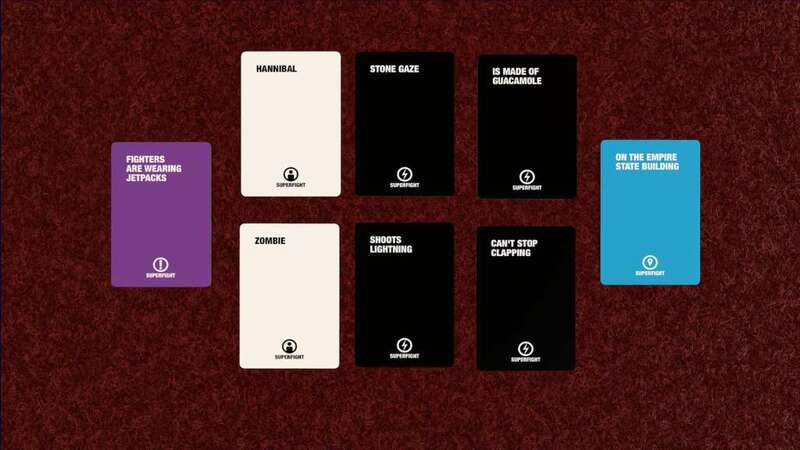 The Walking Dead Deck - 100 cards inspired by Robert Kirkman’s hit comic book series. 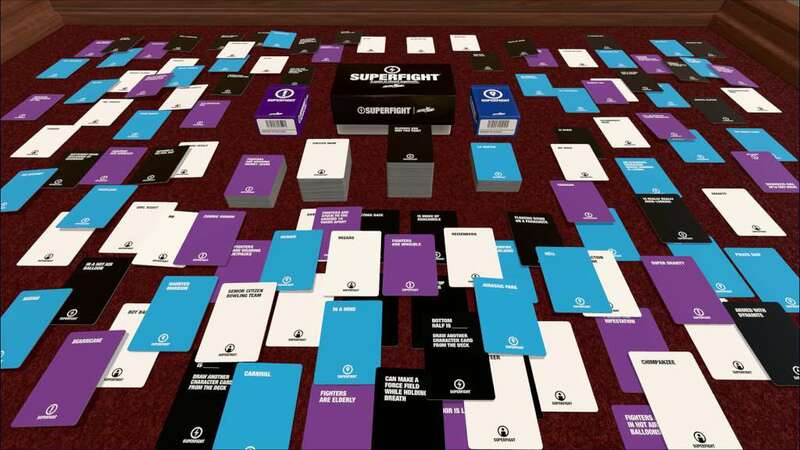 All of your favorite survivors and villains are here, along with the darkest set of attributes yet. The Anime Deck - 100 cards inspired by your favorite anime. From Pocket Monsters, to Titans, to Sailor Scouts, this deck is ready to raise your fights to a new level of insanity, the kind you can only find in Japan. 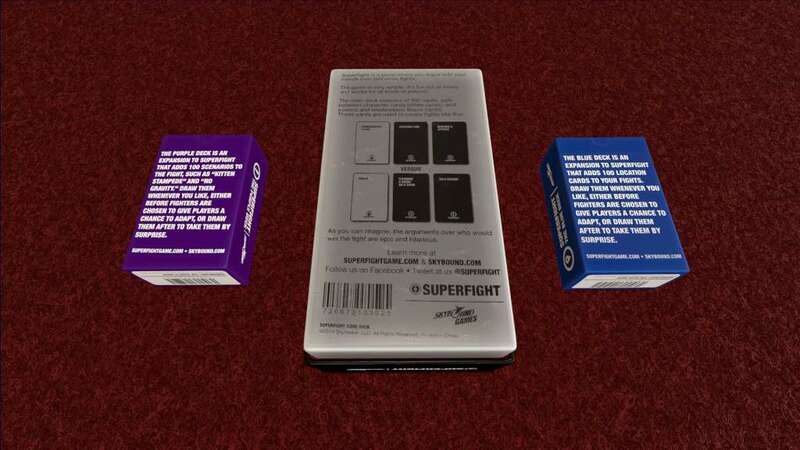 – 100 scenario cards that add hazards and conditions to the fights such as kitten stampedes, land mines, and opposite day.